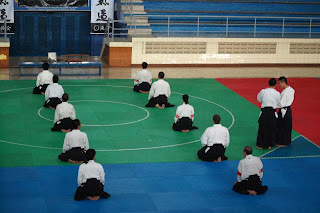 The Exam this time were a bit different compared to previous exam, why? 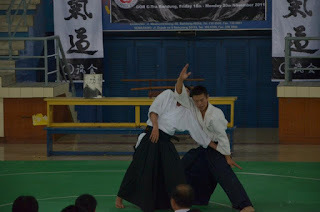 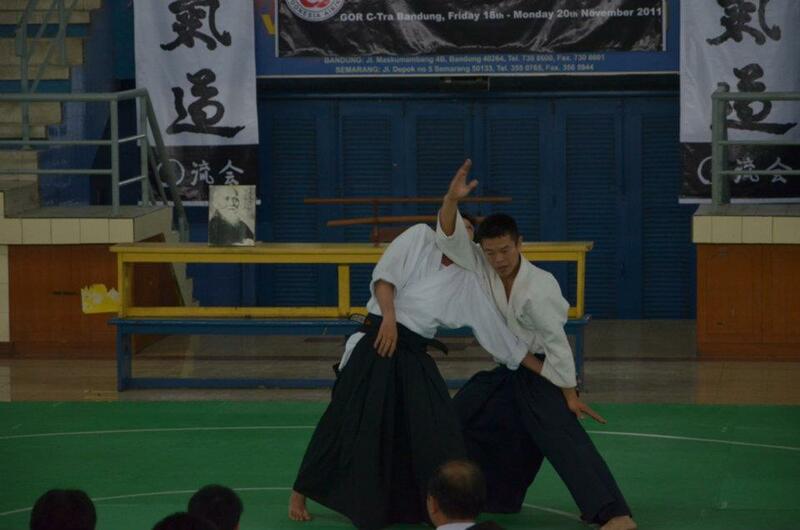 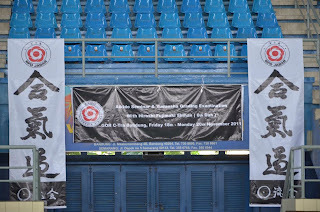 First, because its held in bandung, a city in West Java, a city where i experienced my first encounter with the beautiful art of aikido ^^, and the second, the exam were held for 1st dan and 2nd dan exam only, where usually the exam were held for grade up to 4th dan, oh..and there was one more thing, on this exam, before the participants follow the exam, Fujimaki sensei held a screening session, to check and decide whether the participants could follow the exam or not. As far as i know, this were the first time such system implemented on yudansha grading examination. 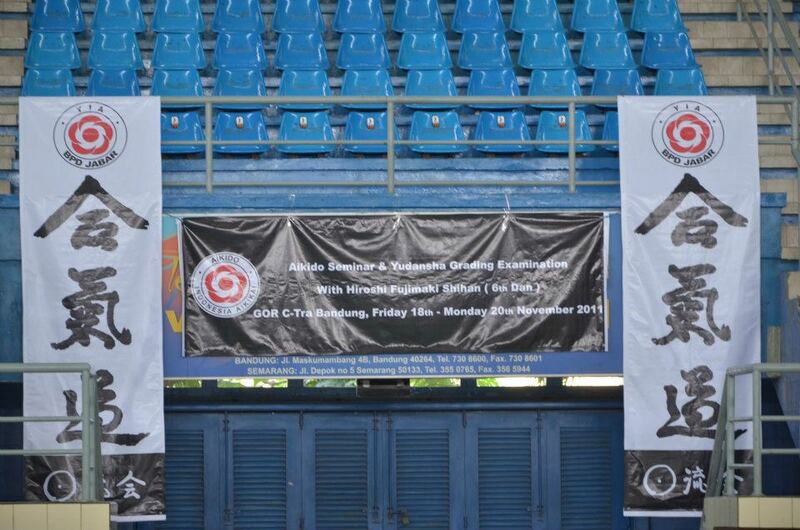 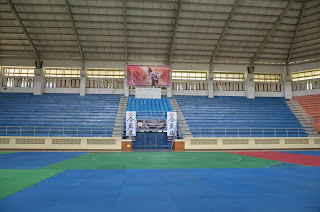 Exact location for exam was Citra Arena Sport Buliding. 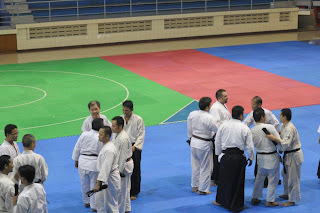 The whole event consist of 3 days seminar, 18th-20th of November 2011, friday to sunday, with total of 6 training session, and the exam were held on the last day. 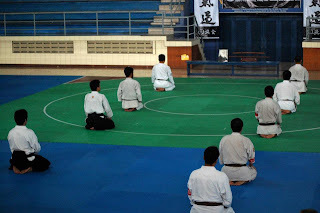 The seminar was great, Fujimaki sensei teach patiently, with strong emphasis on basic, each time after he show/teach a technique, he will went around the mat to check and teach the participants personally. 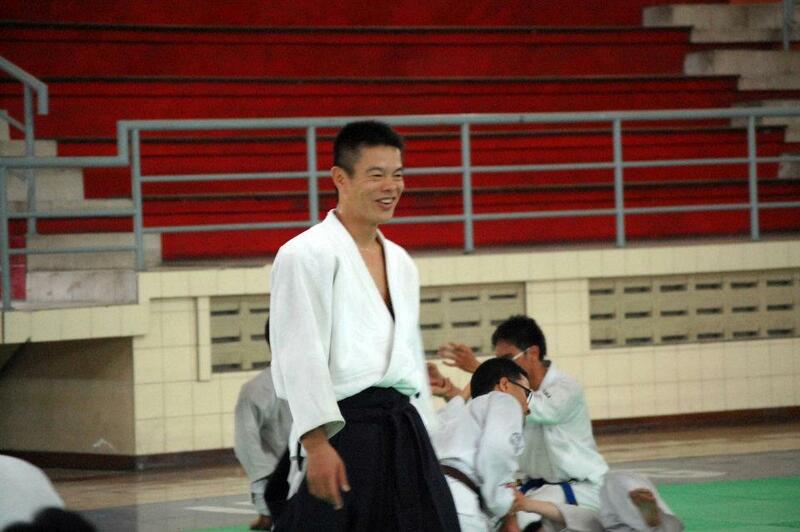 Had friendly personality, he smile almost all the time, at least that will make your tired body feel a bit better.. :). 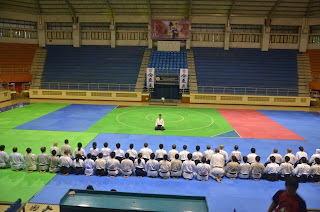 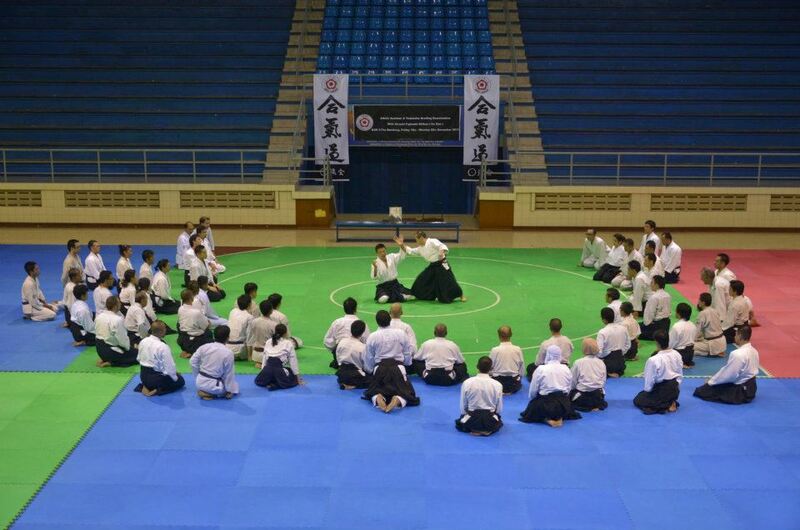 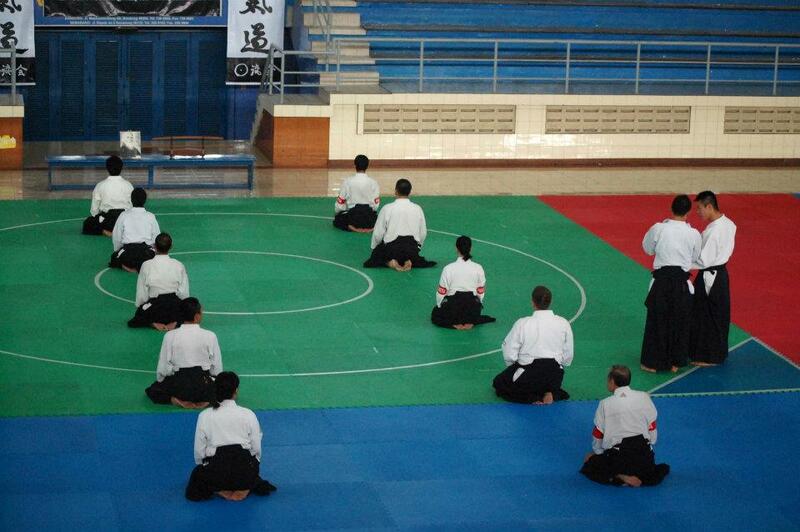 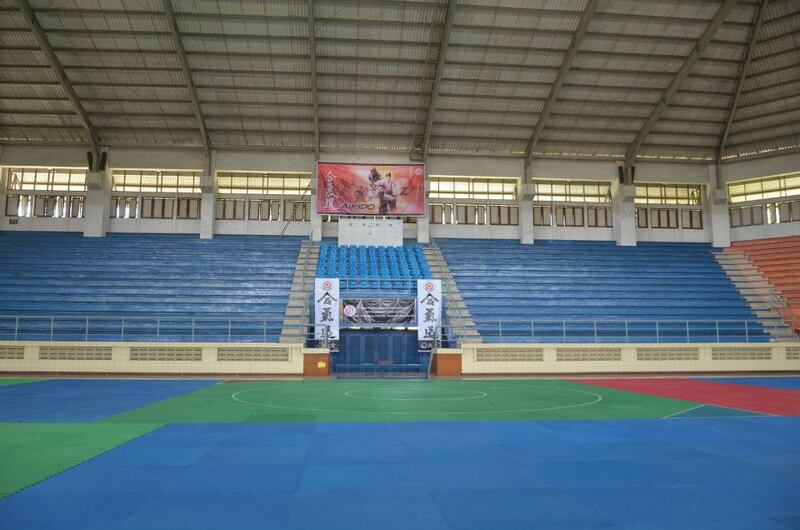 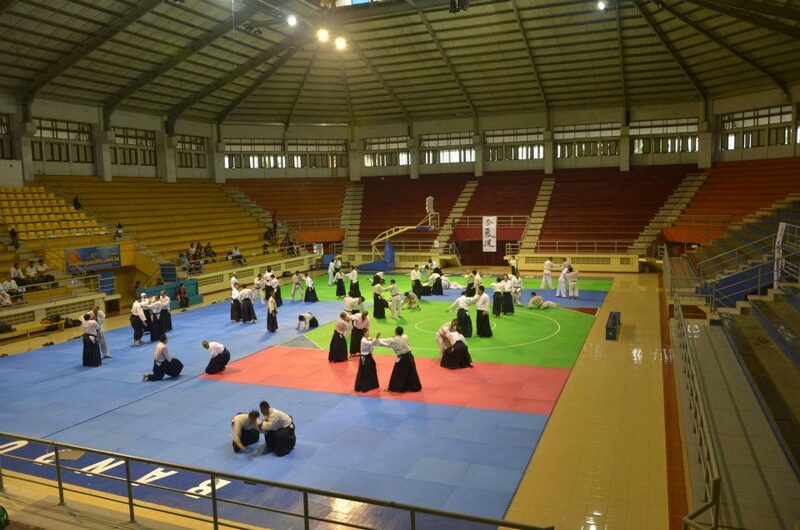 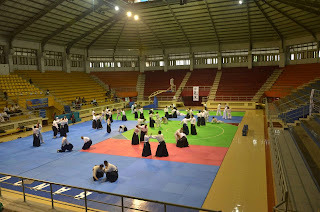 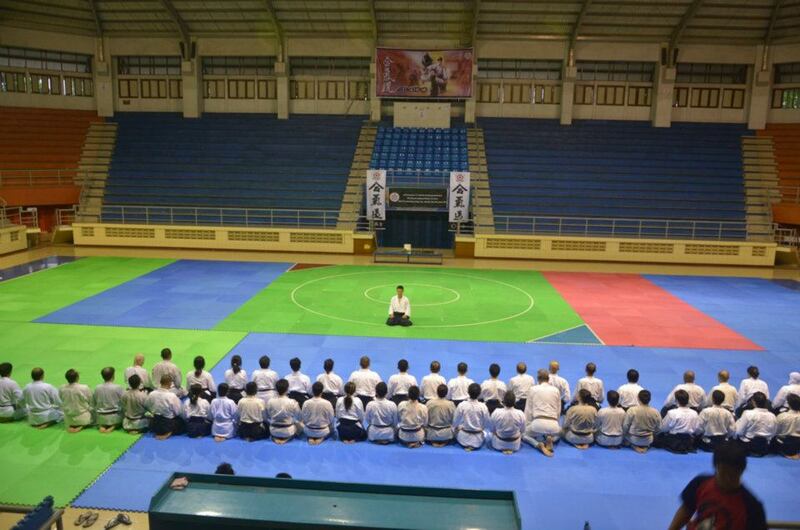 On screening session prior to exam, there were 2 participants from 1st dan and 1 participant from 2nd dan exam that didn't pass the session, so the exam participants will be 9 person for 1st dan exam, and 4 people for 2nd dan exam (if i'm not mistaken). 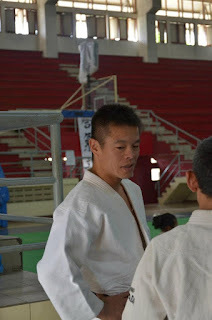 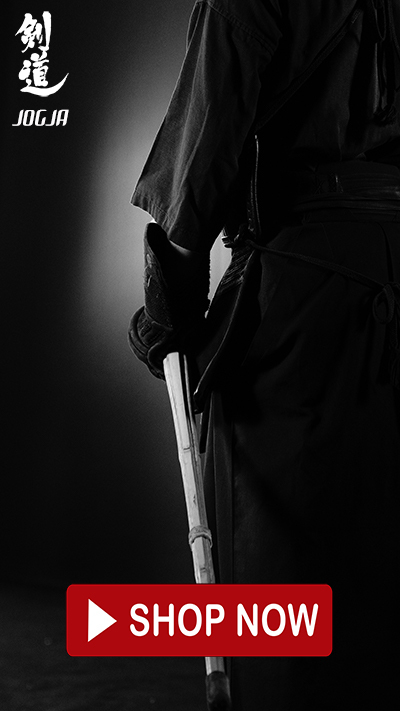 Fujimaki sensei said before screening session that he will check 5 things : kata (form), continuity (not too slow), zanshin, stamina (physic and mental), and.. ah i forgot the last one..maybe someone could help me? After the exam finished, sensei announced the result by calling the participants name, one by one, and told the result directly, he also gave comments to each participant, about their exam, and thank god, all of exam participants passed ^^. 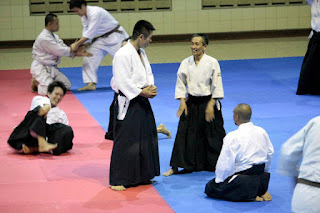 Had a really good time, thank you for Fujimaki sensei, all participants, also for Jakarta and Bandung committee, its nice to had such big, friendly and warm family :). 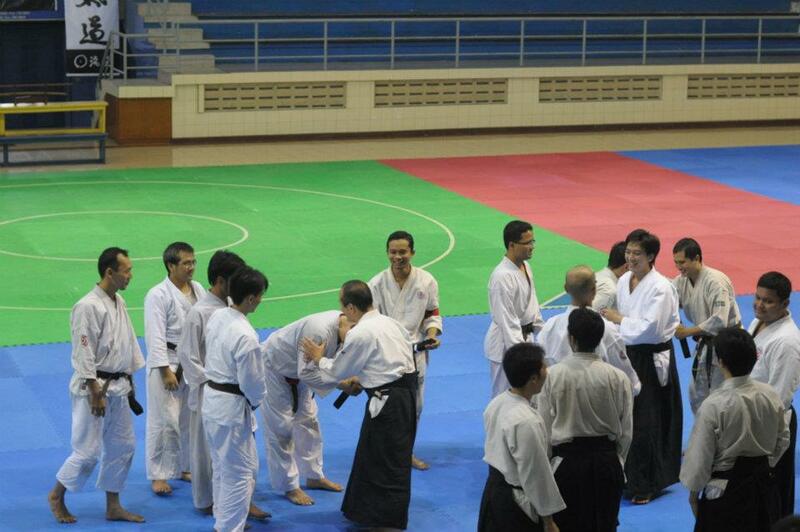 see u all next time..